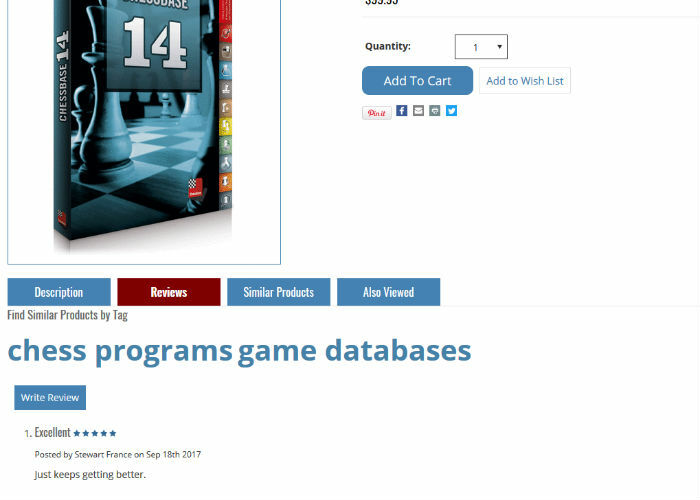 ChessCentral is an established name in the world of chess merchandise, known for their vast selection of educational chess materials like software, books, and DVDs. ChessCentral is one of the few businesses out there that not only wants to sell you chess products, but also wants to see your chess skills grow and advance over time. This is obvious from the wealth of informational materials they sell on their site, as well as through the free tips and tutorials they offer to beginners and experienced players alike. In short, ChessCentral is where chess players of all levels go when they want to really up their game. 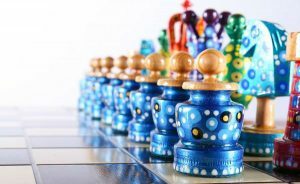 All sorts of educational materials can be found there on a variety of topics, and it can even act as a one stop shop with all of the chess pieces, boards, and accessories it has available for sale. There’s something for everyone at ChessCentral, and you never know what new skill or technique you may pick up while browsing around their website until you head over there and see it for yourself. 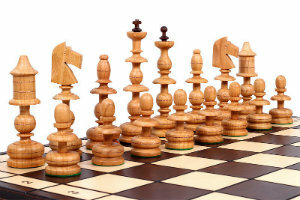 ChessCentral has a reputation for being one of the most educational online chess stores in the business. At ChessCentral, they don’t want to just sell you boards and pieces that you may never actually use – they want to see you get better and better as a chess player, so you keep coming back to learn new things. ChessCentral has one of the largest collections of educational chess materials, both for sale and free, that we’ve seen at any online chess store. If there’s a technique you’ve been interested in learning, no matter how obscure or arcane, chances are good that you’ll be able to find it at ChessCentral. If there’s ever been a book or DVD made about the technique you’re wanting to learn, ChessCentral is the best place to find it. Despite being one of the only sources for rare materials like this, ChessCentral is not greedy with their information, but rather they are quite generous. 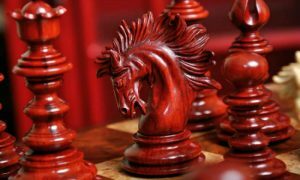 They maintain a blog that provides a lot of good information and they also have an entire section on their website devoted to providing free education chess materials to anyone who cares to learn. ChessCentral was founded in 1997, while online businesses were just beginning to get off the ground. 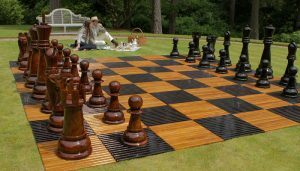 Since that time, they have grown and flourished along with their customer base, and have now become one of the biggest names in online chess shopping. The ChessCentral website is owned and operated by a company called Pickard & Son LLC; which is a North American chess book publisher. This explains their special focus on educational chess materials! Pickard & Son is led by its two founders – Sid Pickard, a National Chess Master since 1985, and his son. So it’s a family owned and operated business. Of course, they also have the support of many other Grandmasters, International Masters, National Masters, and Experts who are on their staff. This concentration of expertise makes Pickard & Son LLC one of the most knowledgeable sources of information for all things chess related. ChessCentral’s mission is to provide the best, most comprehensive source of information that can be found anywhere, as well as the necessary chess products and accessories to go along with that information. They still remember the days when educational chess materials were difficult to find and even more difficult to understand, and they want to make that a thing of the past. ChessCentral is dedicated to providing easy to access, easy to understand educational materials so that anyone, anywhere can learn chess! Thankfully, that is where it ends. This robust system of menus and submenus make it easy to get to the exact specific thing you’re looking for in just a couple of clicks. Of course, if you don’t like navigating drop down menus, you can always search for what you’re looking for directly using the search box in the top right hand corner of each page. There are a number of different product series available on the ChessCentral website. Many of this series can be previewed by navigating through the menus at the top of the site. 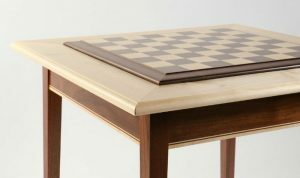 There are different categories of chess boards, pieces, and accessories available, but the most cohesive product series are definitely within the educational material sections. 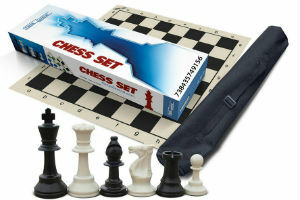 The Chess Software section is where you can see the most robust lines of product series. 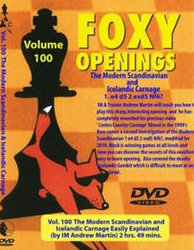 In this section, there are many different products being made by the same company that walk you through different styles of play, or study various different famous chess players. Each set of these similar software products forms a product series. Though many of these products can act as a stand alone product, you can often get more from them if you study them all and take them as a whole. 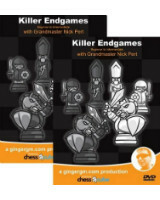 There are some really interesting software series for sale on ChessCentral that you may want to sink your teeth into! No matter what your interests are, with the wide variety of products available, we’re sure you’ll be able to find something that tickles your fancy. The ChessCentral website has a section on each product page where customers who have bought that product can leave a review. If you’re wondering about the quality of a specific product, that can be a great place to look and see what people who have bought it before think of it. Not all products have been reviewed yet, though, so you can’t always rely on that. As a general rule, the product quality at ChessCentral is held to a high standard, and the educational materials are held to an even higher one. It’s clear that the people at ChessCentral don’t want to waste their customers’ time with any low quality products, but their commitment to top quality educational materials is even more evident. The chess software, DVDs, books, and other instructional materials available at ChessCentral are some of the most high quality resources that you’ll be able to find anywhere. When you want the best of the best in terms of chess education, come to ChessCentral. Their other products like chess boards, chess pieces, and chess accessories are of good quality too, but they’re not the absolute cream of the crop like their educational materials. 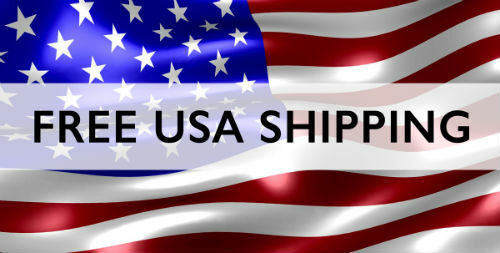 ChessCentral offers speedy shipping options to almost every country in the world. If you have a reliable package delivery system where you live and are able to receive mail from the US, chances are good that ChessCentral ships to you! You can check if they will ship to you by looking for your country on the drop down list during sign up for an account or while entering your shipping information. The list contains more than 240 countries and territories, but if yours is not on that list, they unfortunately will not be able to ship your order to you there. 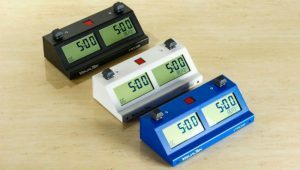 For most orders, you can choose your shipping speed at checkout, the cost will depend on your location and how fast you would like it to arrive, as well as how large your order is. Payment methods that will be accepted include PayPal, AmazonPay, Mastercard, Visa, American Express, and Discover. ChessCentral is a PayPal verified seller. 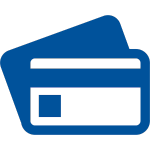 While they accept all major credit and debit cards, they don’t accept anything like cash, check, or money order. One bonus is that tax is only collected on orders that ship to the state of Tennessee, so all purchases made elsewhere will be tax free! The customer service at ChessCentral is available for contact by email, snail mail, phone, fax, or by filling out the form on the “Contact Us” page of the website. The fastest way to reach them is by email. They promise a response within 12 hours, but it usually comes much faster than that – even on the weekends! ChessCentral hours of operation are 8:00 AM to 6:00 PM EST Monday through Friday, but you can usually find a member of the customer service team to help you out no matter what the hour. All of the customer service representatives working for ChessCentral are very friendly, helpful, and willing to help you out with whatever problem you may be having or question you need answered. If you’re having trouble with a ChessCentral product, just call to let them know and they’ll help make it right for you. The ChessCentral blog is where a lot of the best information gets shared. 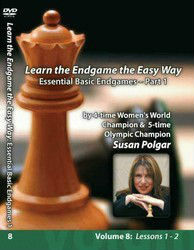 From chess tips to product spotlights, it’s full of interesting stuff. 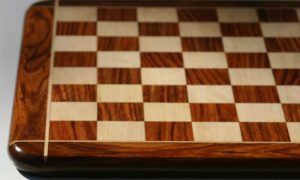 The posts shared on the ChessCentral blog are sometimes informative, sometimes entertaining, and sometimes both, but they’re always worth reading if you have an interest in chess and are looking to strengthen your skills. 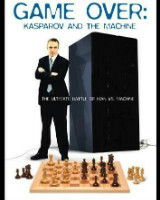 They frequently run posts analyzing historic chess matches, both famous and obscure, highlighting new chess media and products that are just hitting the market, and exploring other areas of chess history and basic gameplay. No matter what your level of skill is with chess, you’ll be able to find at least a few posts on the ChessCentral blog that are perfectly designed for you. Although many chess tips and tricks are frequently shared on the ChessCentral blog, that’s not the largest concentration of them available on the website. In fact, ChessCentral actually maintains an entire section of its website that is dedicated to passing on chess tips, tricks, and tutorials for players of all levels – for free! 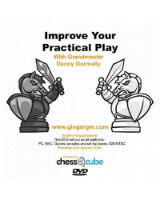 The “Chess Tips and Tutorials” section is regularly updated with new and useful information. 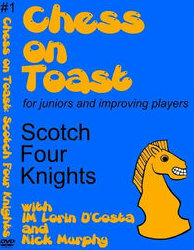 It currently includes a wealth of knowledge on varied chess topics such as: how to get the most out of your chess software, where to play free chess games, chess programs and analysis, learning the basics of chess, finding the right chess equipment, and so much more. 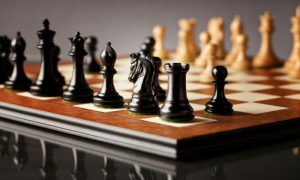 This section has all the information you need to get started with playing chess, or take the next step in bettering your game, so be sure to read through it. You may be surprised by how much you learn! It’s being added to on a regular basis, so check back often to see what else you can pick up. All ChessCentral products come with a satisfaction guarantee. If you are not satisfied with the product you ordered for any reason, they will take it back with no questions asked within 30 days of purchase. This hassle free return policy makes it easy to be refunded for any product that doesn’t meet your expectations so that you can buy with confidence from ChessCentral. 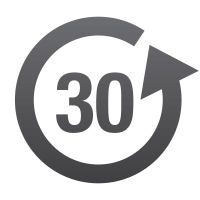 If you want to return an item, all you will need to do is email customer service a copy of your invoice within 30 days of purchase to begin the return authorization process. Keep in mind that the products must be in their original condition – chess DVDs and software must not be unwrapped, but still in their original cellophane packaging, merchandise and clothing must be unworn, and everything else must be in mint condition. If a product came to you defective, ChessCentral will replace it for free, but if you are just sending back a perfectly good product because you didn’t like it, it must be in original condition. Downloads cannot be returned, and if you want to return a chess board or chess set, all charges except for shipping will be refunded, and there will be a 10% restocking fee. It’s best to return the items in their original packaging. There is no overarching warranty on products supplied by ChessCentral. 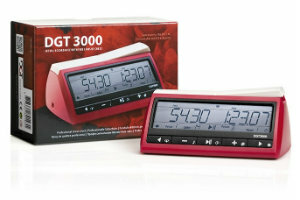 Warranty information and availability will differ by product and manufacturer. Overall, the shopping experience at ChessCentral is a good one. It may not have a state of the art website, but it is easy enough to navigate and find what you’re looking for. The ChessCentral reputation of being a leader in educational chess materials is certainly well deserved, as is their reputation for being generous with the free tips and tricks they share on their blog and elsewhere on their website. A wide variety of products are offered by ChessCentral, and all of them are high quality. Their shipping options are robust, as you can order from almost anywhere in the world, and payment options are adequate, even though they don’t accept some less common methods. Customer service is easy to work with, and returns are easy, as long as you’re returning a product in mint condition that isn’t a chess board or chess set. All in all, we recommend shopping at ChessCentral. They should be your first stop for educational materials like chess software, DVDs, and books, though you may want to shop somewhere else for chess equipment.